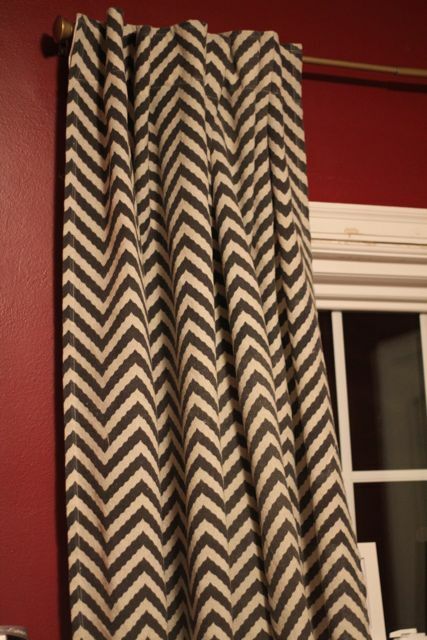 Women on a Mission: Mom Edition: XTRA LONG CHEVRON CURTAINS! Recently I was reading Our Fifth House and Carmel had a post regarding xtra long curtains that she purchased at Hobby Lobby! SOLD. I have actually planned to buy these for a few weeks, but every time I am in big city, ND, it is on a Sunday, and Hobby Lobby is NOT OPEN on Sunday. I believe this is because they are a very religious business. 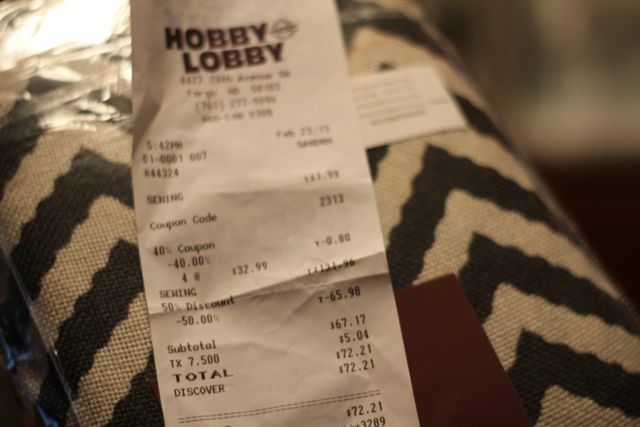 Recently, I happened to be in Fargo on Saturday and swung by Hobby Lobby. 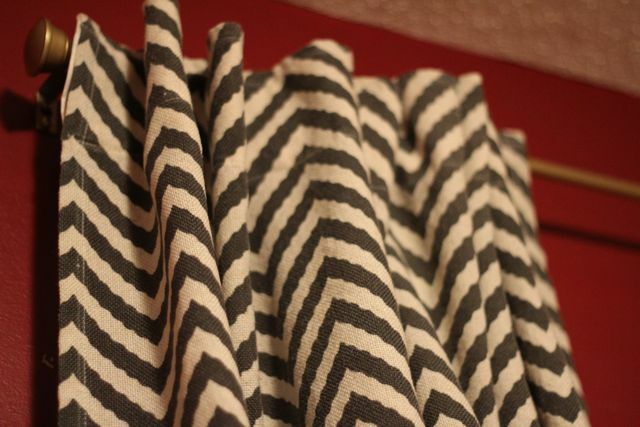 There they were…the perfect curtains for my office. 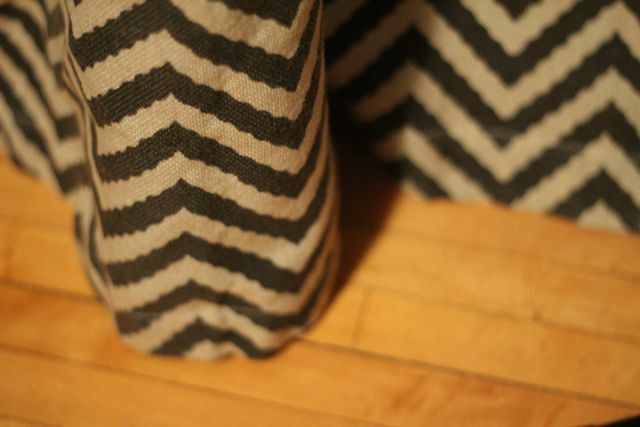 And, better yet—they were on sale for 50% off! That equaled just over $17.00/panel and I needed 4 panels total. And I LOVE THEM. I opted to hang them 7 inches higher than the window (I plan to add crown molding soon) and 7 inches wider than the window. I do need to do some painting touch-up work on the window, so please ignore the chipped paint! 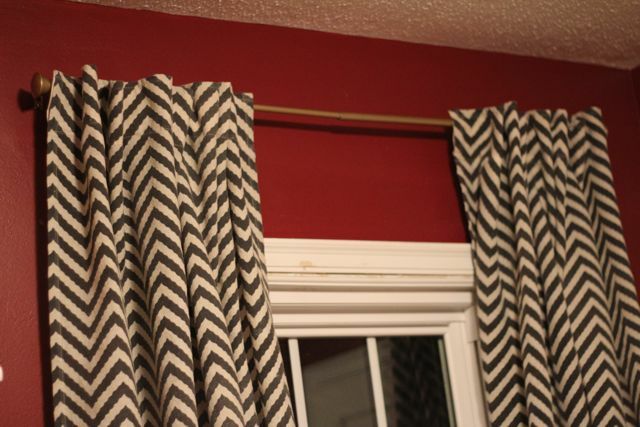 I also need to add one more bracket to the curtain rod for stability.